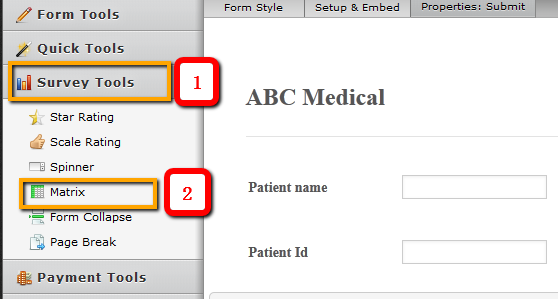 I am new to your system and trying to adapt a printed form to an online form. There are many instances where there is a table that the person fills out. Example for medical allergies there are 2 columns: one for the allergy and the other for the reacton and treatment of it. It seems like such a simple thing, but I can't find a solution for this problem, so I thought I would run this by you in case you knew of a solution. 1. 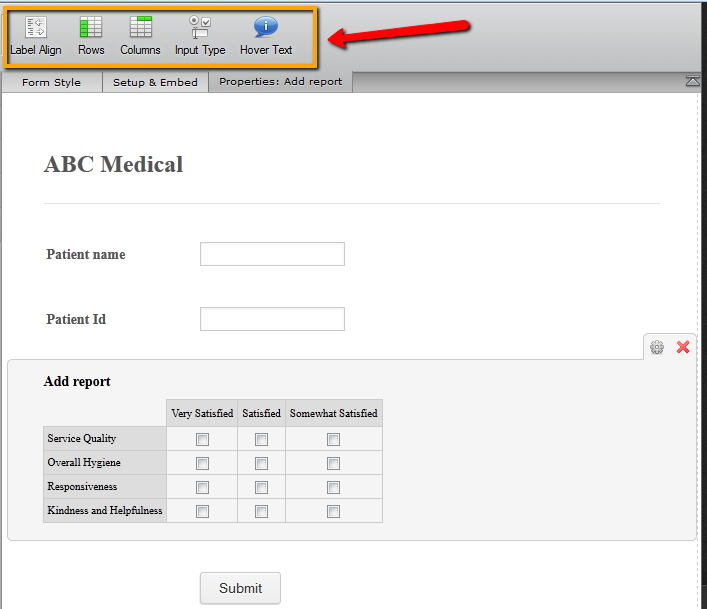 Open your Form and click on Survey tools > Matrix then Drag the matrix to your Form. 2. You can change the number of columns and rows by Columns and Rows icon. If you further assistance in this query,please inform us.